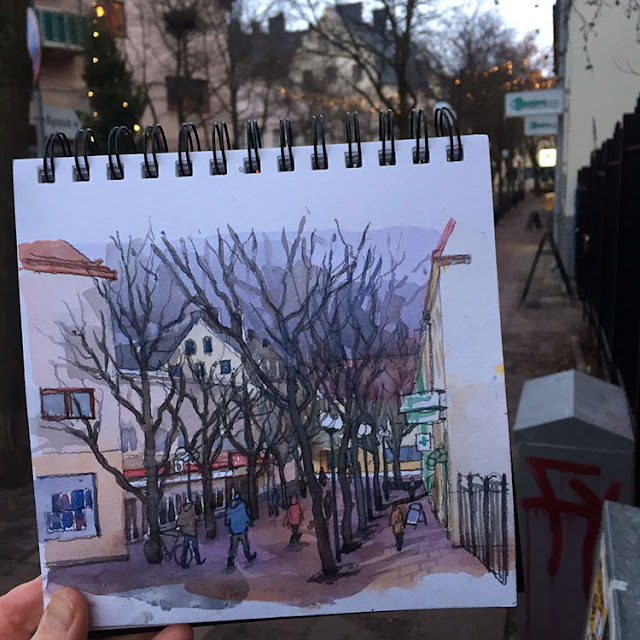 [Nina Johansson, Stockholm] This is not my most successful sketch of the year, but it is definitely the last. Aspudden in Stockholm was a bit gray and damp today, but people were cheerful, full of expectations for new year´s eve. A family with happy kids stopped by to chat, which is always good fun.